For Marco, nothing beats transforming the performance of businesses. Blending the power of insight with inspiring examples to achieve high performance teams and organizations. Marco is an HPO expert and works with organizations who want to push their financial and strategic performance. Marco is responsible for the HPO Insight™ improvement tool and the feedforward analysis™. As a thought leader and specialist in the design of creative but pragmatic techniques, processes and systems that make a transformation for the better, Marco’s approaches gain genuine and motivated buy in from stakeholders and employees. They also inspire excellence and provide best practice structures. Decades of experience and a deep drive for customer excellence backs up his highly effective business development methods. Being somebody who is fully focused on enhancing the growth of people, he has the perfect job. Marco’s feedforward analysis™ and HPO Insight™ improvement tool are particularly successful. 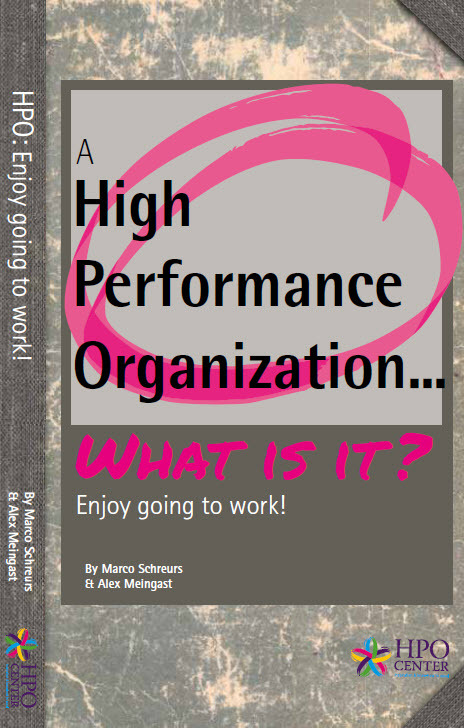 Marco wrote the Dutch HPO management book bestseller Animal Firm and A High Performance Organization…What is it? Both books became bestsellers in The Netherlands. He is currently co-authoring a management book with Muriel Schrikkema on feedforward - Real use of qualities within people and organizations. Contact Marco Schreurs for more information. With HPO Insight™ improvement tool, anyone can quickly and easily measure and improve performance in an informed way, and compare it with the peers’ performance. HPO Insight™ allows you to focus on the qualities, Key Improvement Areas, and action points of your team, department and/or organization. HPO Insight™ is based on years of scientific and practical research so you have the highest certainty that your efforts will actually be successful. Large and small profit, non-profit, and government organizations, (internal) advisors/consultants, and industry associations around the world have been benefiting from the HPO Framework for years. Would you like to know if HPO Insight™ is valuable for your organization to measure your performance and to improve it continuously?